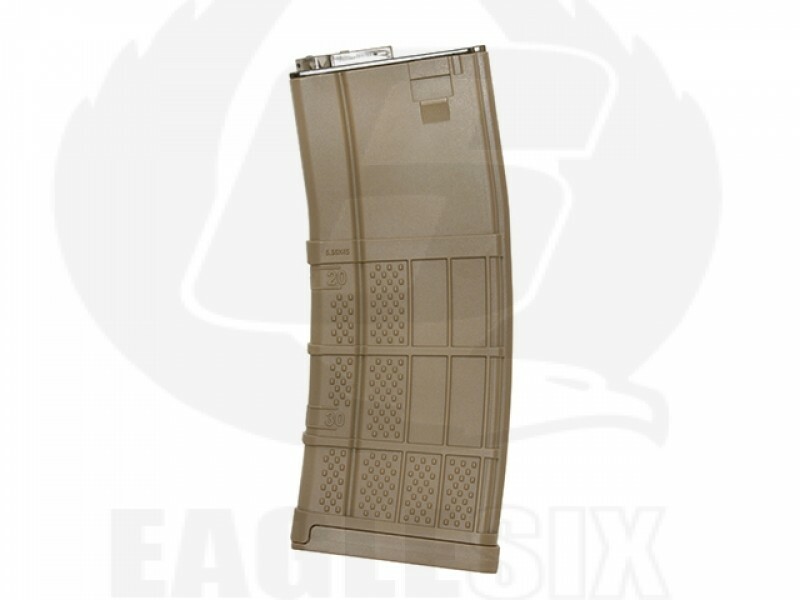 Advanced magazine with a slim body design with aggressive texturing for a better grip. Made of impact resistant polymer. Compatible with most AEG at the market, including Arcturus, Cyma, APS, G&G, King Arms, A&K etc. · during first usage, magazine SHOULD be loaded with few bb's and subsequently core out. After magazine SHOULD be loaded with 10 bb's more than first time and subsequently core out. Activity SHOULD be repeated until full mag capacity will be achieved.